Max Shapiro, in a comment on yesterday’s post, raised a very salient point on the issue of electing school board members. It appears that legislation is absolutely required to actually elect the members. A search through the Norfolk charter and code reveals that Max is correct: there is virtually no references to the school board within and the few that are there, including the one Max cited, mentions nothing about how they are selected or their terms. Recall last year that the terms of the appointed school board members was increased to three years (previously two years). Section 22.1-51 was updated (pdf of bill showing changes is here) to reflect that change. It appears this section needs to be repealed; I can find no proposed legislation that would do this. Without repeal, the subsequent sections – in particular § 22.1-57.3 – may not apply. The City Attorney needs to get on this ASAP. Separately, they need a bill on the transition of the board members – for reference purposes, they can crib the one in Virginia Beach’s code (Chapter 16, Secs. 16.02 and 16.04). Everyone should realize that if I’m right, one of the following things has to be true. There are no other explanations except shades of gray between corruption and incompetence. At some point we are all going to have to acknowledge that and do something about it. At the 11/25 Work Session when this was first discussed, about 2 minutes after Pishko said no legislation was needed, Smigiel had an email from me saying almost exactly what I posted here. I said the same things to Daun Hester’s LA and the Norfolk GAINS people a week or two before that. So either they didn’t think I was right or they didn’t want to admit it. But seriously, it’s not rocket science. I do not know and have never met Daun Hester’s legislative assistant, but two sad traits I’ve noticed about LAs at both the local and state level are that they typically have little more than a bachelor’s degree in political science, but they’re also certain they’re subject matter experts. The reason they are certain they are subject matter experts is because they implicitly trust the people they work with. Its hard to work with people when you accept they routinely lie to you, which is why so many LAs and elected officials pretend certain people are honest even when they secretly know they are corrupt. Fraim and Pishko lie to the city council on a regular basis and most of them know it. They just refuse to do anything about it, probably because they can’t imagine what life would be like when they actually have to face the reality of the situation we’ve found ourselves in. The phenomenon is too widespread to be a consequence of the sort of dysfunction observed on Norfolk’s council, I think. I’m inclined to think that it’s more a result of the sort of character trait that make certain political bloggers on both ends of the political spectrum impossible to read: the inherent and unshakable belief that because they feel extremely strongly about their minority viewpoints on certain topics, that by itself must be evidence that they’re smarter than most people. In other words, I suspect it has less to do with how one views the infallibility of the others around him and more to do with the infallibility of one’s self. I’m not sure I follow you in terms of this discussion. This isn’t about feeling strongly about something, this is about basic legal facts. Everyone who knows even a modicum about Virginia politics knows we are a Dillion Rule state and that State Law supersedes local ordinances. Charter changes are required to pass the General Assembly and when a state code uses the words “Notwithstanding the provisions of the charter of the City of Norfolk” it means that it supersedes the charter of the City of Norfolk. Pishko and Fraim have said no GA Legislation is required for an at-large or ward and yet they have prepared charter changes, which must be approved by the General Assembly. Unless they also remove state code section 22.1-51. 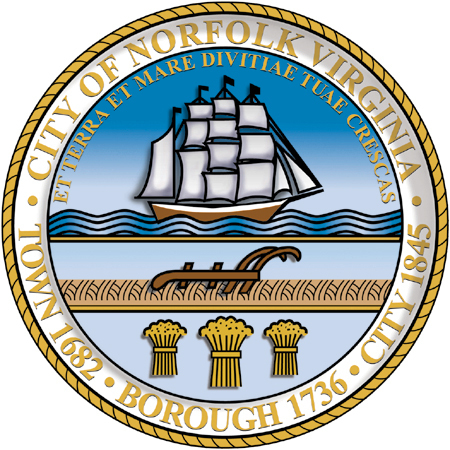 (Appointment and terms in City of Norfolk.) we will have a conflicting language. Max, did you ever think that maybe I didn’t read your email during the discussion? If I had I may have said something. I seem to be the only one really asking questions anyway. I have never agreed with anyone at City Hall that a charter change was not warranted. BTW, the City Attorney has since sent us language indicating that a charter change is necessary for any of the decided methods for the election. I did think that. That’s why I said its either we are being lied to or I’m smarter than all of you combined. As it turns out, the answer looks to be both. Max, can you find out what Kenny Alexander has been asked by Fraim to carry to the assembly. I know it has to do with the way the code for the school board is written, I don’t think he has our best interest in mind. I’m not Max but as I said in the other thread, Kenny hasn’t been asked to carry anything – at least as of last Saturday. I’m meeting him today. I’ll ask again. Vivian’s got better relationships than I do, so hopefully she can find out. If the bill is introduced, only convincing the Republicans to do something else will stop it from happening. Ward system or at-large, don’t expect anything to change so long as Fraim is still in office. Either someone serious runs against him or we will still get the same corrupt/incompetent government as always. I just figured out where this Alexander bill talk is coming from. He said something at the NCDC meeting last Saturday morning. I spoke with him about it after that and there is no legislation from him at this time.